Like it or not, our mobile devices are a huge part of our daily lives. Good security is essential – whether it be from malicious software, malicious people or too many distractions at the local pub. Things happen, but with the right protection, those things don’t have to be detrimental. This is where ESET Mobile Security comes in. ESET’s technology enables you to download apps that are safe and will discover potentially dangerous apps. With real-time scanning, your installed apps and communication are scanned for malware threats. Threats that are detected from the malware scan are immediately moved to quarantine which are then unable to do any harm to your mobile device. You have the option to remove the threat or keep it in quarantine. Like other security applications, ESET also includes a tool to review what permissions your apps can access and alert you to potentially unsafe settings on your device. Through its Security Audit, ESET can alert you to apps that access your personal information — like your address book or location. It’s also a handy way to review your apps. Additionally, ESET Mobile Security can detect unwanted apps that can exploit your device’s functions and data. If suspicious activity is detected, you will be notified via email and with the proactive anti-theft, your device will automatically lock, take photos of its surroundings and relay location information so you can track it. When a thief steals a phone, the first move is usually replacing the SIM card. If this happens, your phone will lock and a message will be sent from the number of the new SIM card – meaning you’ll be able to use ESET’s SMS commands once again. Recently, ESET introduced a portal for remote device control – my.eset.com. Previous management was only possible via SMS commands, but thanks to this new, user friendly portal, it’s much easier to manage and secure your device from afar; especially in situations where time is of the essence. Simply log into your account and access a lost or stolen phone. ESET also has a device monitoring tool which keeps an eye on everything from memory usage to whether your Wi-Fi network is secured. 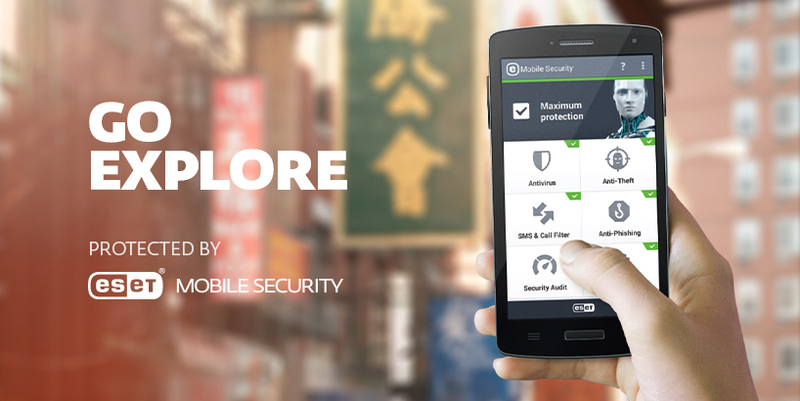 The ESET Mobile Security design works with both Android smartphones and tablets. The interface places all of your device’s security options within reach and updates ensure you have the latest protection that won’t slow down your device’s performance. This post is brought to you by ESET.